Whether it’s the latest news or the latest meme, Twitter consistently punches above its weight in our cultural consciousness. And it’s an important space for brands to make an impression on potential customers. 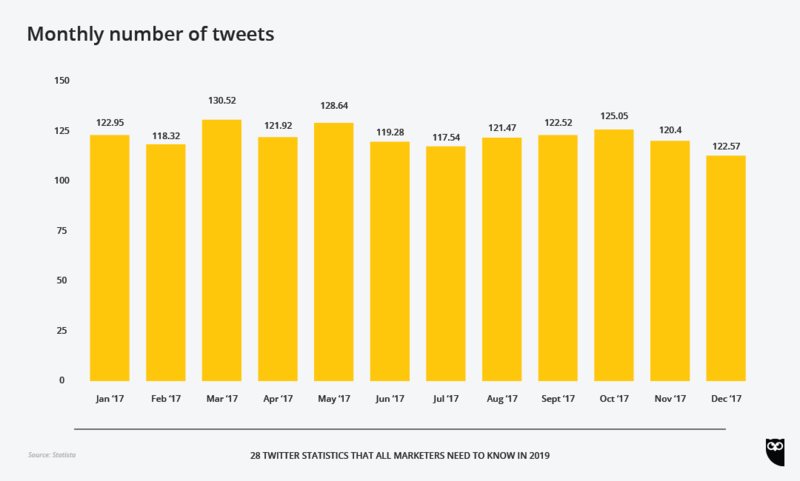 We’ve gone ahead and compiled all the Twitter statistics that you need to know to market among the microbloggers in 2019. That’s 5,787 tweets every second. Yes, this official number is impressive, but let us please note it was first announced in 2014 and hasn’t changed in the years since. It wasn’t til Q3 2017 that Twitter posted its first profit: 91 million dollars. And according to analysts, that was based more on cost-cutting (in sales, marketing and R&D) than business growth. However, Twitter has been consistently profitable for the last four quarters, and it posted its largest profit ever in Q3 2018. The stock market likes this bump: Twitter was #21 on Forbes’ Top 100 Digital Companies list for 2018 (beating out Facebook at #26). Followed by heart-eyes at #2, and cry-cry at #3. What better way to celebrate #WorldEmojiDay than with some ????✨data✨????? That’s nine million fewer than in mid-2018, and four million fewer than late 2017. 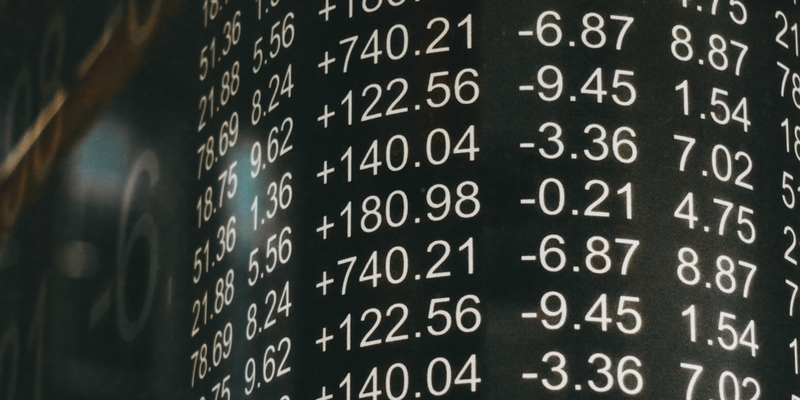 Management blames bot purges, Europe’s new data privacy laws, and some technical issues for the decline. While monthly users decrease, the number of daily users has been increasing consistently since 2016. This lines up with Pew Research’s finding that 46 percent of American Twitter users visit the site at least once a day. 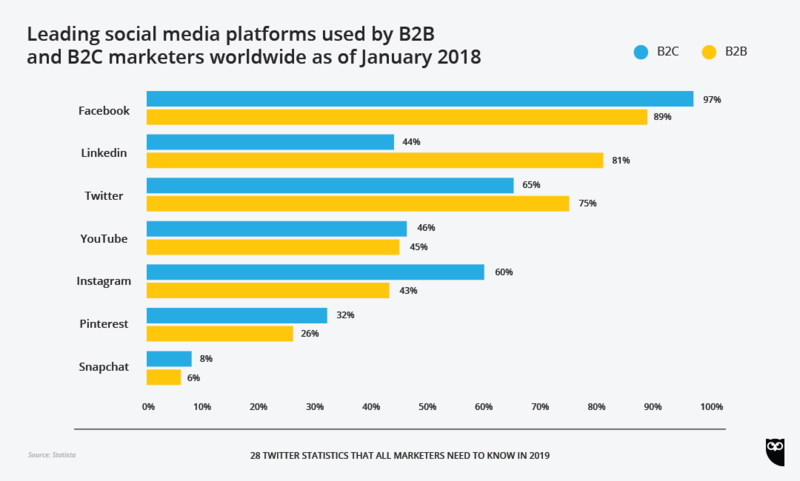 CEO Jack Dorsey stated that Twitter is focussing on making the platform “a healthier and valuable everyday service.” If these numbers reflect Twitter’s goal to be more attractive to good users while booting bad ones, they may translate to higher-quality audiences for advertisers. Additionally, Twitter actively supports uptake in the developing world via Twitter Lite, the app’s data-friendly alternative. Twitter Lite is available in more than 45 countries, and this dedication to growing new markets has translated to increased international revenue growth for Twitter. Of those adults, Twitter users tend to skew urban, educated, and higher-income. For more detail, check out our comprehensive breakdown of Twitter’s demographics. 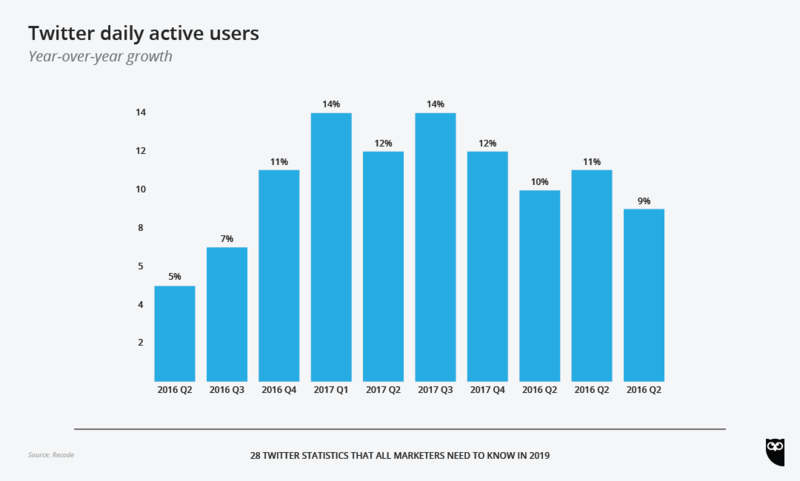 Emarketer predicts that Twitter will only add 500,000 American users in 2019. Most of the new users will be adults over the age of 25. That’s what Twitter says, anyway. 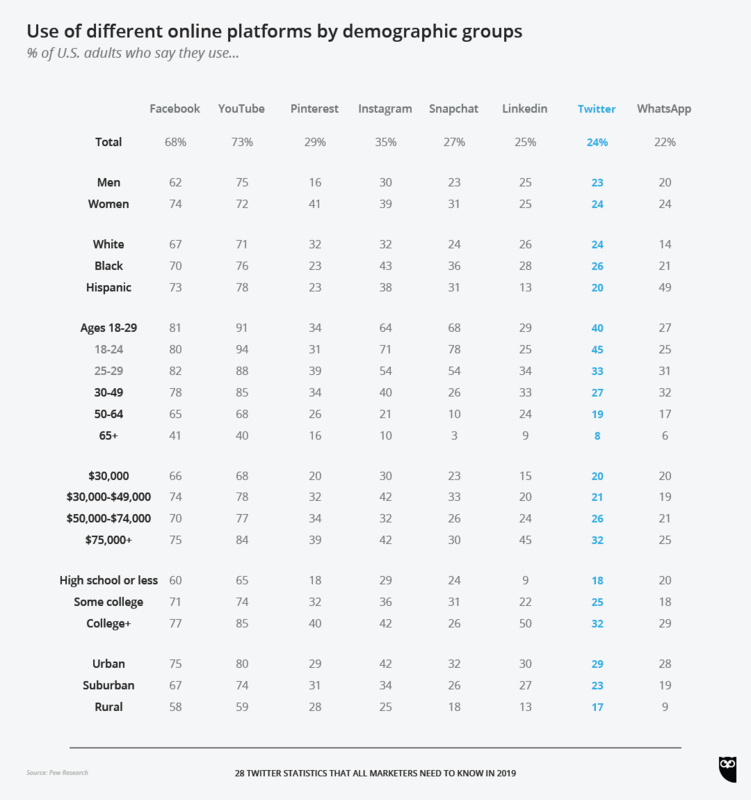 This number lines up with what we know about the platform’s general demographics. 45 percent of American 18- to 25-year-olds say they use Twitter, for instance. But does it line up with the fact that the most retweeted tweet of all time is a plea for free chicken nuggets? And, according to the same study by Pew Research, that works out to 12 percent of all Americans. No other platform rivals Twitter for bleeding-edge news and up-to-the-second happenings. Twitter outdoes Facebook and Instagram among powerbrokers. According to the 2018 Twiplomacy study, 187 governments and heads of state maintain an official presence on Twitter. And in related news that is surprising to no one, Twitter is politically polarized. But since outrage is the most viral emotion on the internet, at least marketers can count on Twitter users being engaged. Just keep the relatively volatile nature of this environment in mind as you build your Twitter marketing strategy. This, as opposed to what they recall while browsing online in general. Apparently, Twitter maintains a special place in its users’ hearts and minds. Or is it just that pithy content is stickier? Regardless, this is a notable lift that’s worth capitalizing on. And 65 percent of B2C businesses are marketing there. 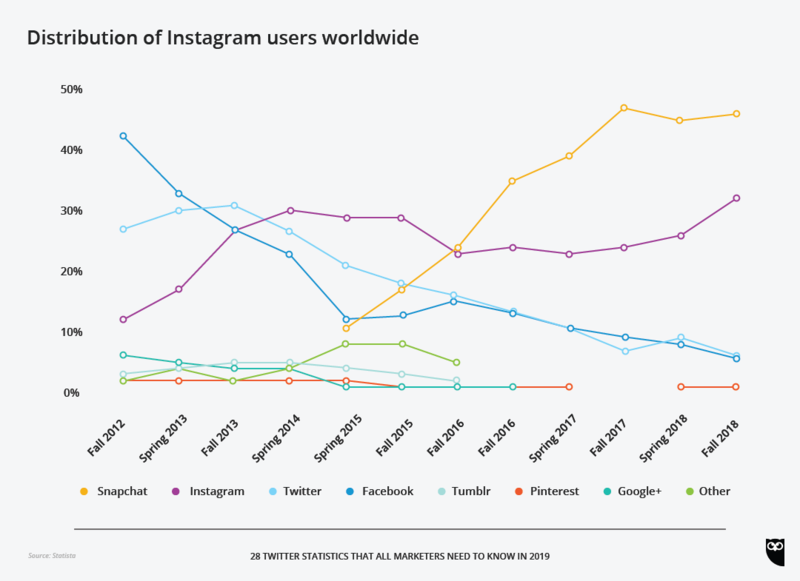 That means Twitter outranks Youtube, Instagram, Pinterest, and Snapchat. One of the top reasons businesses feel they need to be on Twitter is customer service. It’s almost de rigueur now to @ your airline about every twenty-minute flight delay. However, smaller brands can also jump on the opportunity to turn frowns upside down. According to Edison Research, brands need to put in some legwork and broaden their Twitter customer service horizons. Check out our full guide to social listening here. Or, if you haven’t already, demo the sentiment analysis tools from Hootsuite Insights. As of their Q3 2018 conference call, ad engagements on Twitter continue to rise. 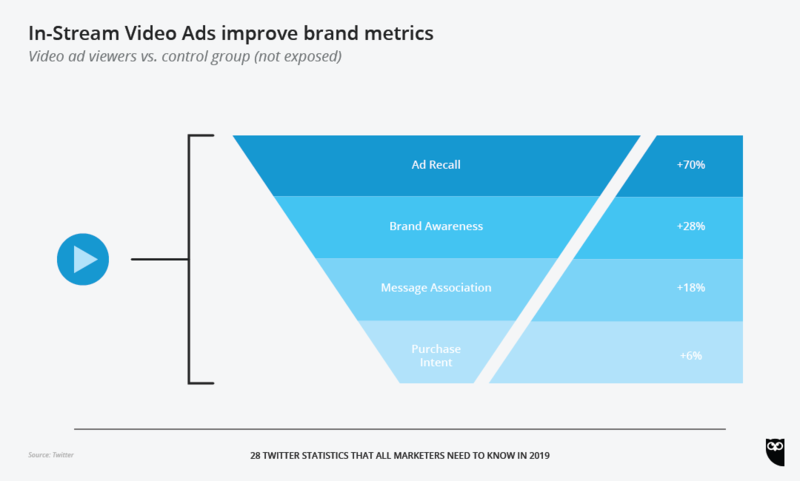 If Twitter’s ROI wasn’t competitive last year for your industry and audience, it may well be now. Likewise, given lowering prices, if you’re not paying for Twitter ads right now maybe it‘s time to crunch those CPC and CTR numbers again. More effective at “stimulating mental engagement,” to be precise. (And 9 percent better at memory encoding). This is according to a NeuroInsight study that also found people spend 4 percent more time on Twitter during a live event than they would normally. Take, for instance, the 4.8 billion Tweet impressions during Superbowl LII last year, most of which—I can only assume—was everyone looking at pictures of Nick Foles holding his baby. More than any other platform, Twitter lives for major events. That kind of predictable surge in interest is worth experimenting with in your paid strategy. Twitter is an indispensible platform for many experts and thought leaders, not to mention comedians. Have you considered complementing your traditional ads with a well-placed shout-out from the right voice? In other words, a tweet gets half its interactions in the first half hour, and then starts a long, slow decline into the fog of time. This is why some guides don’t have upward limits on the number of times a brand ought to tweet in a day. What does that work out to, four tweets a day? Six per workday? Although, we hope they aren’t only tweeting on workdays. A better idea: schedule your tweets in advance to catch your audience when they’re online and engaged. In our studies we’ve found that engagement on Twitter peaks around mid-afternoon, if you’re a B2B brand. That said, check out your audience’s habits using Hootsuite Analytics if you want to fine-tune your timing. Twitter studied 3.7 million accounts in order to reach this, the conclusion everyone already knew. But it’s nice to know the exact percentage, right guys? This statistic from Twitter’s internal data is a good reminder that video content needs to be equally effective whether or not users have their sound on. In fact, mobile optimization across the board is a good bet: short, punchy, and vertical. We’re all still smarting from Facebook’s (um, alleged) inflation of video views, but this is a pretty compelling number. If you haven’t brought your video assets to Twitter yet, now is the time. Since Twitter Business is the one who came up with this statistic, it feels almost like they’re announcing a discount. However, it could make for an easy ROI lift for those of you with spare video content in your back pockets. Twitter’s new type of video ad is pre-roll before video content from Twitter’s publisher partners. Essentially, you can position your 15 second ad before desirable, “brand-safe” content (think: sports highlights, models talking about dogs) from big publishers like Condé Nast, Fox, Reuters, et cetera. According to Nielsen Brand Effect’s data, these ads are performing effectively for their brands and are worth considering if you’re looking for a new tool to reach your audience. Save time managing your Twitter presence by using Hootsuite to share video, schedule posts, and monitor your efforts. Try it free today.